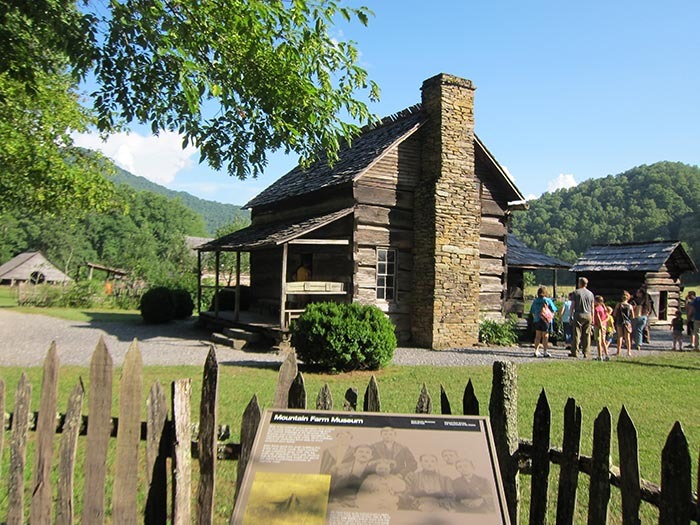 Below is the Davis House located on the Mountain Farm Museum land. The Davis house, built by John E. Davis with help from his two oldest sons, who were very young at the time. The children gathered the stones for the chimneys. The other three Davis children were later born in the house.